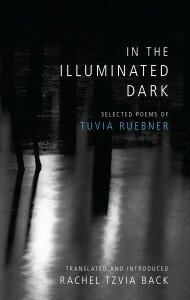 Absence plays a central role in Tuvia Ruebner’s Hebrew-language poetry. In a late poem, “Wonder,” he defines happiness as “being able to execute all the body’s needs.” A more direct expression of pain, joy, and freedom I could not imagine. The line stuns through what it leaves unsaid: its hovering suggestion of the misery of not being able to execute the body’s needs. Back and forth between misery and joy, Ruebner, born in Slovakia and the only member of his immediate family to survive the Holocaust, seems at times to astound even himself at his continued ability to feel.